Are You Better Off Than You Were 10 Years Ago? Obama blames the economy on Romney. Are You Better Off Than You Were 10 Years Ago? Will 2012 be a referendum on four years of Obama, or on a decade of Republican rule? Photograph by White House Photographic Office. 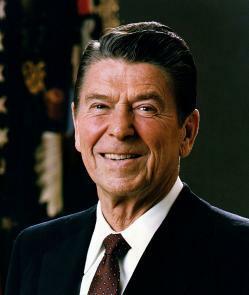 In 1980, running against Jimmy Carter’s record of unemployment and inflation, Ronald Reagan asked Americans: “Are you better off than you were four years ago?” A week later, Reagan won the election in a landslide. Ever since, his question has been the go-to message for challengers in bad times. It’s Mitt Romney’s message in 2012. Barack Obama has tried to answer this question in the affirmative. In March, his campaign produced a video reminding voters that while today’s economy may be bad, the country’s economic trajectory four years ago was worse. But in the months since that video was released, the 2012 employment trajectory has deteriorated. So Obama is trotting out a new message: The question isn’t whether you’re better off than you were four years ago. It’s whether you’re better off than you were 10 years ago. Without mentioning George W. Bush by name, Obama has been pounding the economic record of the Bush years all along. If you look back at Obama’s economic speeches over the past seven months, you’ll see a recurrent emphasis on the rising inequality, stagnant wages, middle-class insecurity, and paltry employment growth that preceded the recession of 2008-09. But until recently, that critique was a backdrop for Obama’s argument that the economy, under new management, was moving in the right direction. This is going to be a close race. And the reason it’s going to be a close race is we’ve gone through a tough four years on top of a tough decade for a lot of families before that, and folks feel worn out. And if you don’t have a job, you don’t care that there have been four million jobs created. You’re still waiting for yours. … The other side, all they’ve got to do is just say, “You know what, you’re frustrated things aren’t where they need to be, and it’s Obama’s fault.” And if they can spend hundreds of millions of dollars promoting that argument, then they don’t have to come up with answers. They don’t have to come up with a credible plan. They figure they can surf folks’ frustrations all the way to the White House. From 2001 to 2008, we had the slowest job growth in half a century. The typical family saw their incomes fall. … Not only are we digging out of a hole that is nine million jobs deep, we’re digging out from an entire decade where six million manufacturing jobs left our shores, where costs rose but incomes and wages didn’t, and where the middle class fell further and further behind. … Gov. Romney and his allies in Congress believe deeply in the theory that we tried during the last decade—the theory that the best way to grow the economy is from the top down. … I want to speak to everybody who’s watching who may not be a supporter—may be undecided, or thinking about voting the other way. If you agree with the approach I just described, if you want to give the policies of the last decade another try, then you should vote for Mr. Romney. It’s clear from the way Obama set up that concluding line—with a direct heads-up to undecided voters—that this is the core message he’s proposing to carry into the general election. And what an audacious message it is. The president of the United States, three and a half years into his term, is framing the election as a referendum not on his own policies, but on the policies of his opponent. He’s running as the challenger. In the normal four-year time frame for evaluating presidents, Obama’s proposition is absurd. He, not Romney, has been in charge. But now that employment growth is faltering, Obama realizes he can no longer afford to run on that time frame. The message of his March campaign video—the economy’s progress since he took office—may not withstand a deteriorating jobs picture. And a four-year frame would leave Romney free to run as the challenger, unsullied by the global recession. So Obama is widening the lens. He’s trying to make the election a referendum on the decade since George W. Bush became president. Republicans have controlled the White House for two-thirds of that time, and for most of it, they’ve held more seats in Congress. If the economy this fall is going to be a question of blame rather than credit, Obama wants to pin that blame on the GOP. In particular, he wants to pin it on Romney, by equating Romney’s agenda with Bush-era policies that stagnated the economy and led to the recession. I’m sympathetic to Obama’s assessment of the Bush years. But it takes serious chutzpah to suggest, four years later, that the country’s economic difficulty says more about Romney than it does about Obama. Either way, Obama’s gambit will add a provocative twist to the election. It won’t just be a choice between an incumbent and a challenger. It’ll be a debate between the last four years and the last 10.